The Malabar India cubensis spores have been around the mushroom community since around 2006. It was originally found by 3M in India. Only recently have we decided to carry this strain again after many email requests and a personal note from our Austrian grower who likes this strain a lot. We take his notes seriously and when he has high compliments for a cubensis we take notice. So we are bringing back this strain so we hope you enjoy the efforts we put into it. The Malabar India cubensis is a good producer of mushrooms but a poor producer of spores. Probably not a good candidate if your trying to spread spores in a cattle field, but other then that it’s a good cubensis. It’s unique in the fact the veil is very thick and often stays attached to the cap even when mature. In a growing environment where mass spores could be a problematic, this is a good choice if you don't want spores to spread around. Along with bringing back our old friend Malabar we are also introducing our new friend Mayan Stone Zen. He promised us he would devote his life to praying over our sacred spores and to bring blessings to all those who seek the sacred mushrooms. 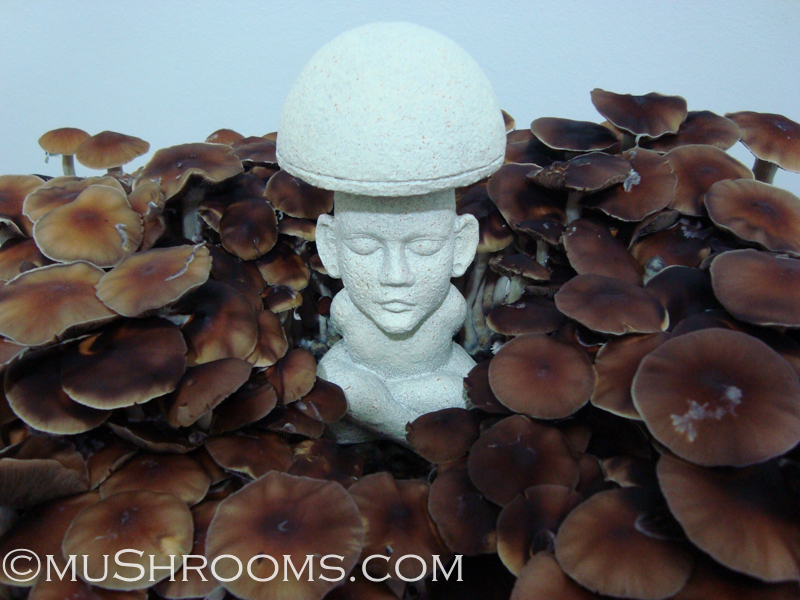 Mayan Stone Zen seeks only peace and achieves his zen state of mind through prayer and worship to God and wishes only that you also achieve such a peace, tranquility, and happiness through our Creators divine gift of fungi. Mayan Stone Zen has a message for you all, he says you can talk to God anytime, but the sacred mushrooms are enhanced link up.